Another busy week in the race for the White House in 2020 continues following a pair of announcements and an increasingly popular candidate prepares to formally announce his bid on Sunday. This week, Rep. Eric Swalwell (D-Calif.) threw his hat into the ring. Former Virginia Gov. Terry McAuliffe said he would soon decide about a bid of his own, as well. Perhaps you’ve lost track of who’s in and who’s out of the 2020 race. So far, there are now 21 candidates – including one Republican, former Massachusetts Gov. Bill Weld – who have announced their bid or have formed an exploratory committee in hopes of challenging President Donald Trump in 2020. 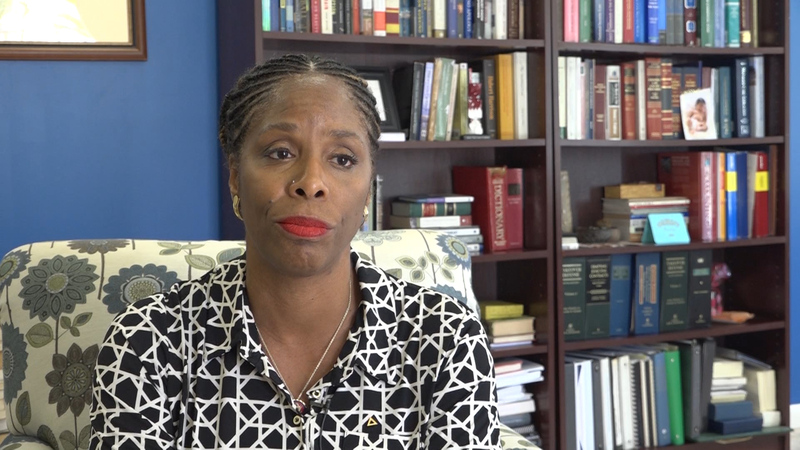 As the field continues to grow, Congresswoman Stacey Plaskett said she hasn’t decided if there is one particular candidate she will be supporting despite having close personal and professional relationships with several of the 2020 hopefuls. We recently spoke with the Congresswoman about the 2020 race because she has a close relationship with one of the frontrunners, former Texas Congressman and U.S. Senate nominee Beto O’Rourke. Of the Senators running, Plaskett is perhaps the closest to Sen. Cory Booker of New Jersey, who Plaskett says she usually sits next to during the Wednesday lunch of the Congressional Black Caucus. She’s also close with Sen. Kamala Harris of California, Sen. Elizabeth Warren of Massachusetts, and Sen. Kirsten Gillibrand of New York; Plaskett says Gillibrand reached out to her after Plaskett was first elected to Congress in 2015. The mutual connection: Gillibrand has relatives in the Virgin Islands, Plaskett said. “What I’ve decided is that I’m just not going to do anything at the moment,” Plaskett said. But when the time to decide arrives, there are a few criteria the third-term delegate plans to use to select a candidate. Electability is a big factor. Plaskett said she wants someone who will not only defeat President Trump, but someone who can energize the Democratic base and help win down-ballot races for the House and Senate as well. The ability to connect with moderate voters in swing states, specifically those in the Midwest such as Pennsylvania and Wisconsin where Trump narrowly won in 2016, are also important to her. Plaskett, who is in some cases considered a moderate Democrat, fears many of the prominent 2020 candidates are positioning themselves too far to the political left that moderate voters won’t consider them on Election Day. Above all and perhaps most importantly, she wants someone who will take the needs of the Virgin Islands seriously if they win the White House. On Sunday, South Bend, Ind. Mayor Pete Buttigieg is expected to formally announce his bid for the White House. Buttigieg, who placed third among Democrats behind former Vice President Joe Biden and Sen. Bernie Sanders (I-Vt.) in a Monmouth University poll released Thursday, has been promoting a “special announcement” on social media.